The staircase is a fundamental feature within many homes, but it’s an architectural structure that is often overlooked during styling. It can be the centrepiece of any home or can sit quietly in the background as part of an existing interior style or theme. Whilst styling a staircase can appear daunting, these easy tips will help you to get the most out of your staircase and make it really work for you. The average new build home often lacks emphasis on the staircase. Similarly, an older property may have a staircase that is now outdated and in need of refurbishing. The best way to start styling your staircase is by going bespoke and working with a staircase manufacturer. 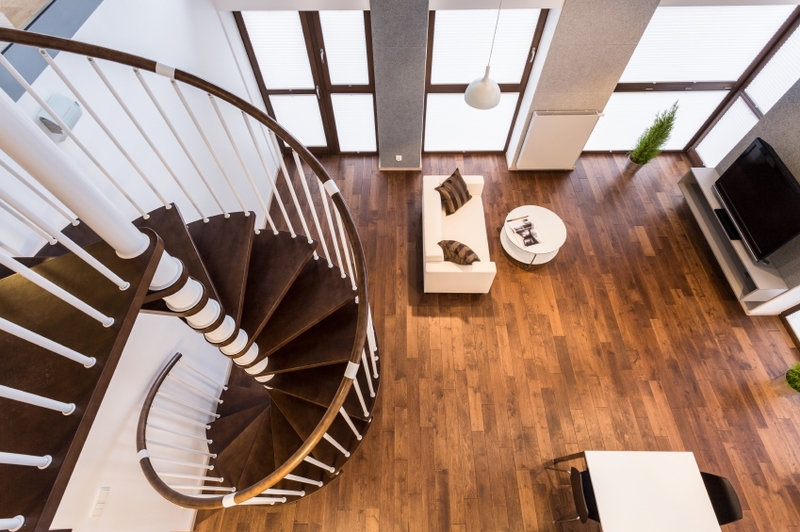 Choosing a staircase manufacturer in Manchester will give you the creative edge of having a unique staircase. Darcy Joinery have experience in creating custom, designer staircases that will fit seamlessly into your home allowing you to create the style you want. Once you have the basics installed within your home, the opportunities for styling your staircase are endless. Despite its practical purpose, a staircase is a huge interior feature that doesn’t have to be ignored. Move away from a simple, carpeted finish and into bolder, more contemporary styling, such as wood or glass. Using good quality paint to design your own unique stair runner is one way to style your staircase. There is a whole variety of colours to choose from – across numerous brands – giving you a variety of choice. It takes away the price tag and associated labour of installing a carpet runner whilst providing you with the same stylish look. From a more practical perspective it also removes awkward vacuuming whilst still providing the same aesthetic. As a staircase is often a unique feature within a home, there is no better place to use a graphic print. Either on the staircase itself or the surrounding wall space, be bold with your pattern choices and pick something that really stands out. The individuality of a staircase will make it a true feature in your home and allows you to work it into the surrounding area too. Choosing to stain your wooden stairs or painting them in a bold colour is another way to be stylish with your staircase. A dark staircase may make the area look slightly smaller, but this can work in your favour in some spaces. It creates a unique architectural accent and will definitely be a talking point. Having a bespoke staircase curated for your home also gives you flexibility. By being involved in the building of your staircase, you can include all the features you want, rather than having to work with what you already have. By installing lights (such as spotlights), your staircase will ultimately become a bright, attractive feature. Combine beauty and function to utilise the space and provide ample light in a unique way. Gallery walls are becoming increasingly popular within interior styles and a staircase is a great place to showcase your life. It’s a good location to display more private family photos as not everyone who enters your home will be going up the stairs, and it makes a bold statement to anyone who glances up at it. It is also a great way to show off your art collection in a gallery-style manner by using up the free wall space. 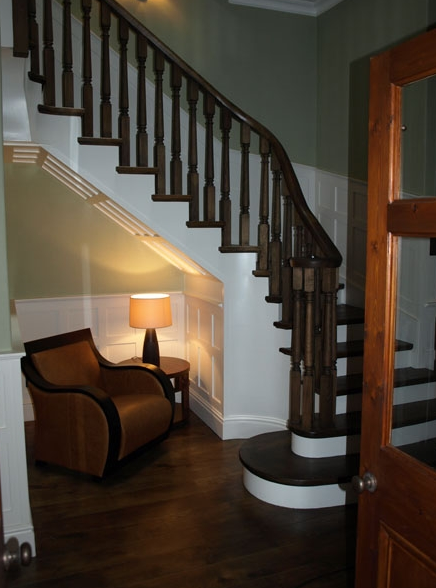 Start styling up your staircase today by creating a bespoke design with Darcy Joinery. We’re a family run business with over 30 years of experience in the joinery trade and specialise in creating bespoke doors and staircases. If you would like to know more information about our products and services contact us by calling 0161 643 3513 or emailing info@darcyjoinery.co.uk and we’ll start working on your dream staircase today. This entry was posted in Home Design, Staircases. Bookmark the permalink. All of our Windows, Doors & Staircases can be made in a wide variety of timbers.